When we got our hands on this lovely pair of antique nightstands, they were completely covered in a high gloss shellac…I mean, at least 4-5 thick layers! 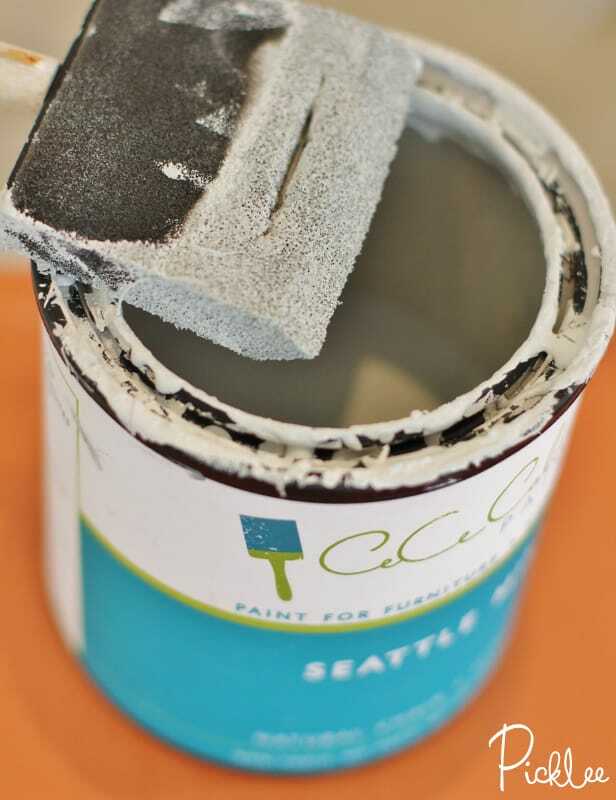 Even the glossiest surface is no match for CeCe Caldwell’s Chalk + Clay paint! 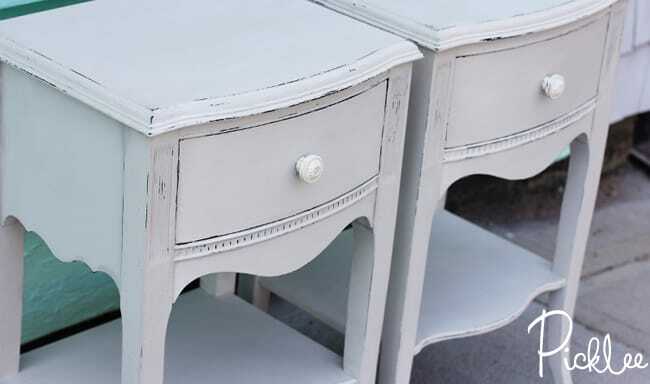 I wanted my tables to be a very pale shade of Dove Grey, so I mixed equal parts of CeCe Caldwell’s Seattle Mist with Vintage White, along with a splash of Nantucket Spray (just to freshen up the gray a bit). I decided to paint the nightstands with a foam brush this time. 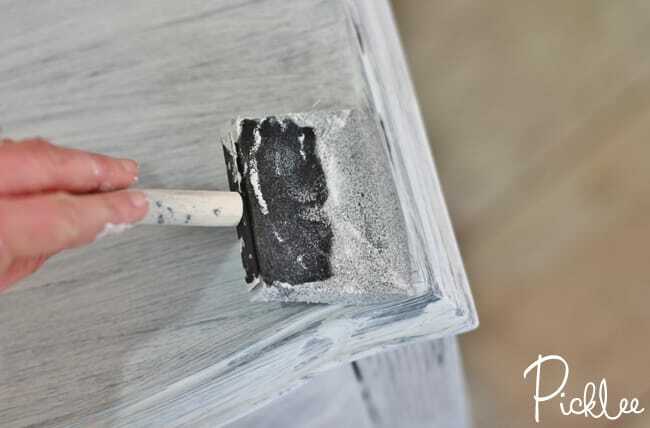 I use foam brushes when I’m looking to achieve a super smooth finish without brush strokes. After the second coat of paint was dry to the touch (about an hour), I used 220 grit sand paper to lightly distress the edges. *NOTICE the difference in color between the paint & the area I already waxed! 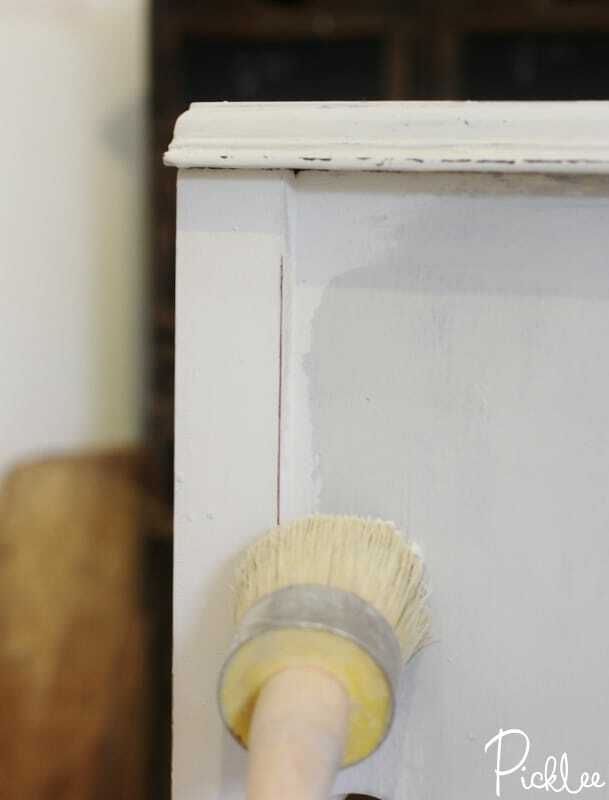 It’s important to remember that your piece will always turn out a few shades darker once the wax is applied! In my case, I mixed up my dove grey color a bit lighter than I actually wanted it to be. 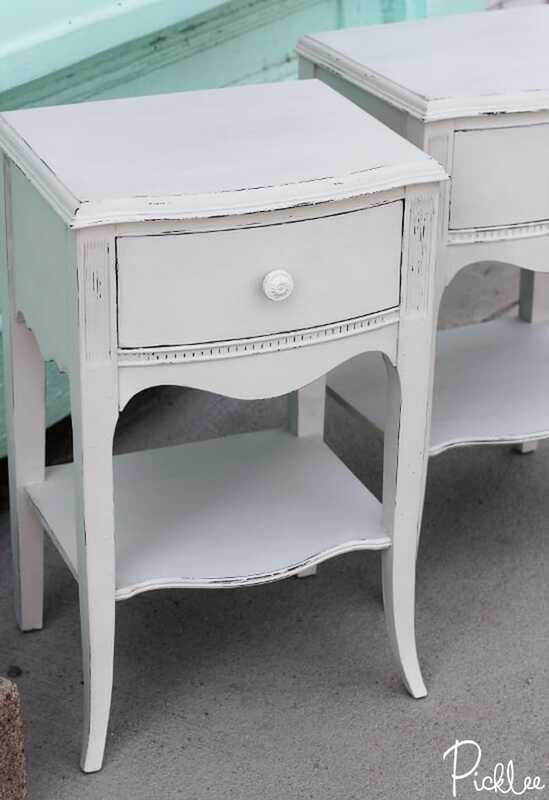 These antique nightstands underwent quite the transformation! I’m absolutely in love with this color! 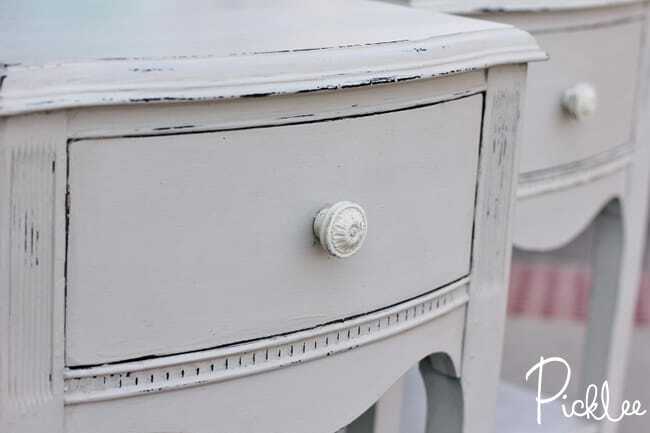 I almost forgot, I painted the knobs too! I used one coat of CeCe Caldwell’s Simply White on them…. I hope you enjoyed today’s before & after transformation! 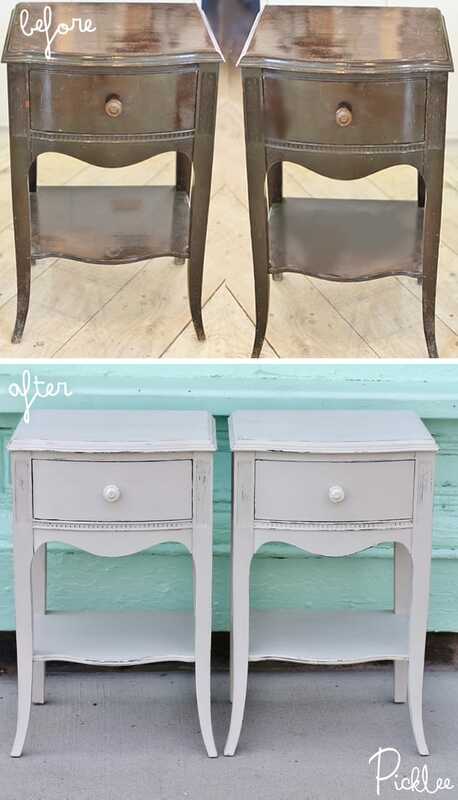 Find many more before & after’s here! 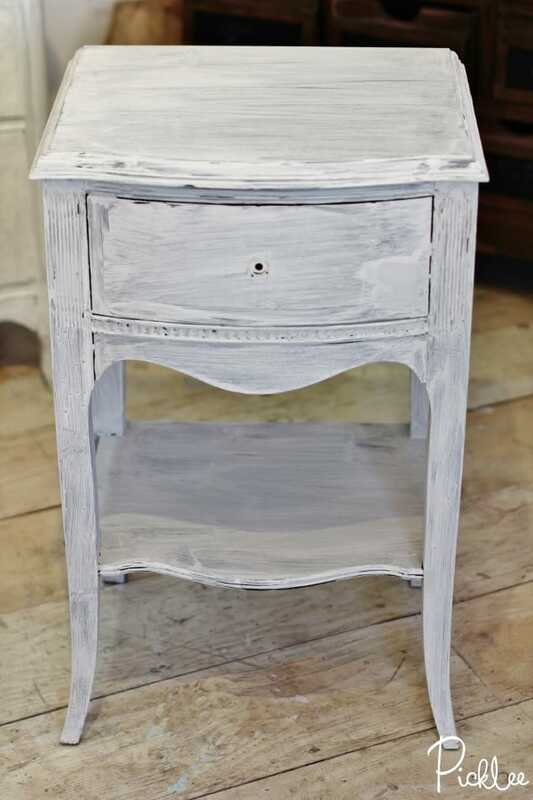 Just wanted to let you know that I’m featuring your nightstands tomorrow on my painted projects round-up, with a link back of course. (If you would rather not be featured, no biggie. Just let me know.) It’s gorgeous!! !